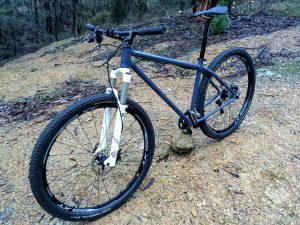 Tor Bikes is a bicycle frame building company owned and operated by me, Shane, in a small workshop a few kilometres outside Beechworth. I started a metal fabrication apprenticeship straight out of year 12 and spent 8 years working in the construction and earthmoving industry before moving on to work on precision scientific instrumentation. Not happy with a future on the workshop floor I studied Mechanical Engineering and have been working as a Mechanical Designer in Australia and overseas for the past 11 years. I have been a passionate mountain bike nut for nearly twenty years. I started riding and racing DH on a $400 entry level steel hardtail before quickly investing in a proper DH rig. After a few years I decided to dabble in XC riding and racing to gain some fitness and soon discovered I was better suited to the ups rather than the downs and enjoyed a punishing climb. The 18kg DH bike got moved to the back corner of the shed (where it still sits) and was replaced by a lightweight carbon XC bike. I never looked back, I even get out on the roadie every now and then. I designed and built my first steel hardtail out of parallel 4130 tube nearly 3 years ago because I was tired of dragging my precious bike through the winter mud. 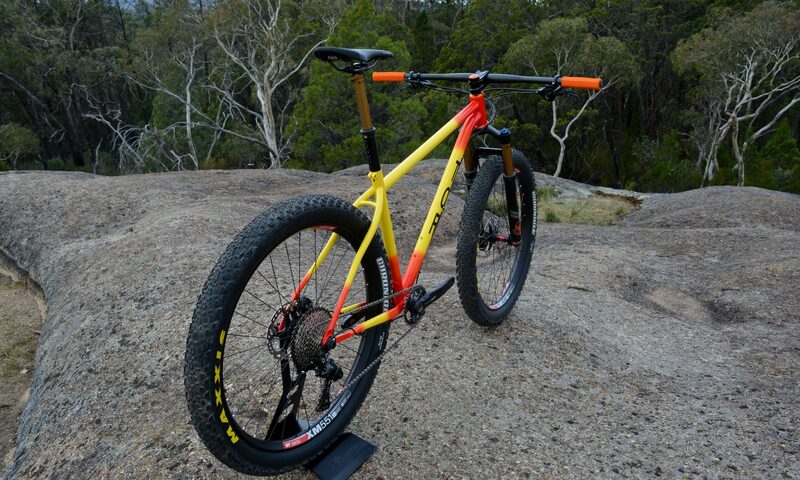 I wanted a hardy bike that I could ride aggressively at speed in tough conditions so I designed a frame that was a little longer, lower and slacker than my race bike. It turned out awesome and quickly became my favorite bike! I learned a lot through that experience and have since honed my skills, upgraded my tooling and have been building bikes out of Columbus tubing for myself and my mates. My next challenge is to move into small scale production of handmade steel bikes. Stay tuned!